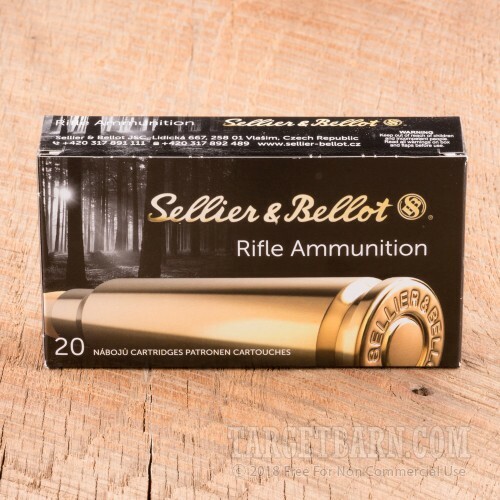 A suitable round for most North American game, this .308 Winchester ammunition from Sellier & Bellot delivers devastating expansion without meat-destroying fragmentation. 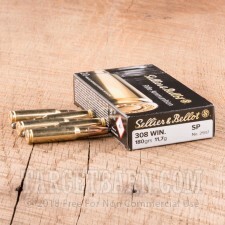 Each round in this case of 500 fires a 180 grain soft point bullet at a muzzle velocity of 2,300 feet per second. The heavy bullet's superior penetration is a great asset against elk, boar, and other tougher animals. 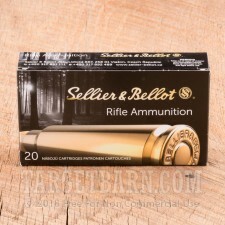 Sellier & Bellot is a Czech company that has been in business since the 1820s. 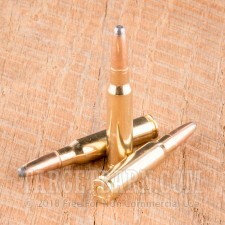 Their ammo uses brass cases and non-corrosive primers.